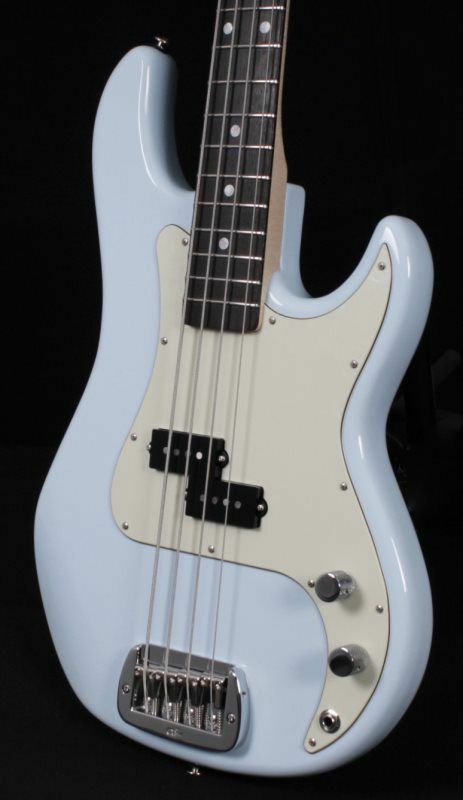 G&L knocked this Jazz Bass out of the park. We custom spec’d this beautiful JB with an alder body and rosewood fingerboard and finished in a classic 3- tone sunburst finish adorned with a tortoise guard.. This is a classic look for this bass from the golden era, but make no mistake, this is a performance machine - This will be the last J-Bass you will ever need! Fullerton Standard models deliver unsurpassed value in an authentic G&L made in Leo’s historic Fullerton, California factory. 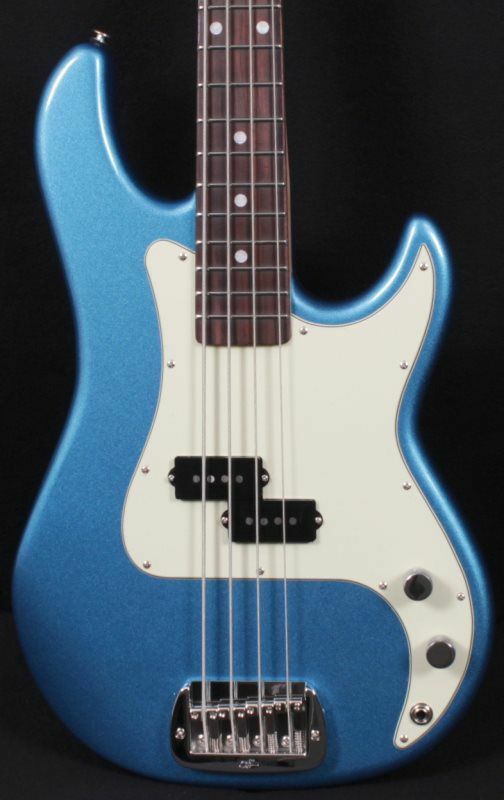 G&L’s newest bass offering is a cool retro-vibe look with a very wide range of tones. This bass is all the gigging professional would need. - Elegance in simplicity!! What happens when you pack Leo Fender's potent Magnetic Field Design bass humbucker into the sleek shape of his SB-2? The new G&L Kiloton: explosive power that's easy to handle. 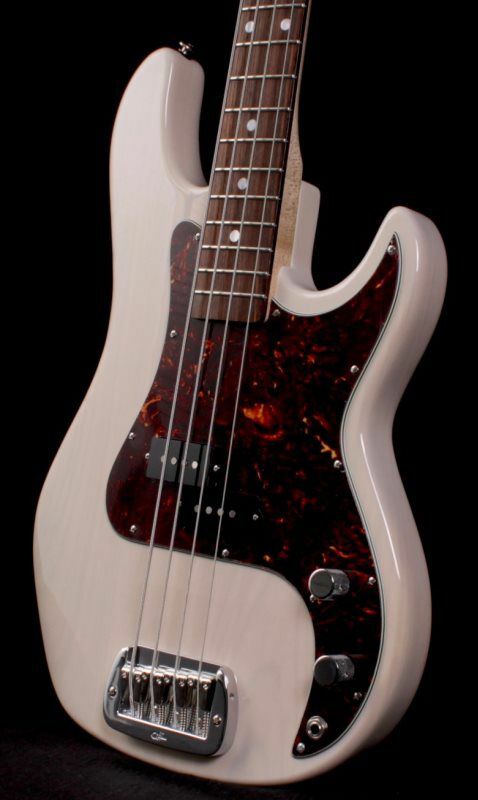 Kiloton's silhouette is the most comfortable bass body ever created by Leo. It's compact and pure, with every curve and contour perfectly executed. And now it's carrying more firepower than ever, with Leo's G&L Magnetic Field Design humbucker placed right in the sweet spot he specified back when the sign over our door still read "CLF Research." Kiloton's single MFD bucker fires without the aid of a preamp, while a 3-position series/split/parallel toggle harnesses the coils' power. Simple volume and tone controls are devastatingly effective, revealing a wide range of textures Leo's MFD bucker is famous for. What's more, Kiloton is armed with a 6-bolt neck and Leo Fender-designed Saddle-Lock™ bridge to transfer all the energy right into the body end-grain for an incredibly resonant instrument. Kiloton is a new force of nature, wrought from Leo's elements and ready for impact. Click the the Video Demo tab to hear it, then get to your G&L dealer to experience it. Weight - 8 lbs. 14 oz. 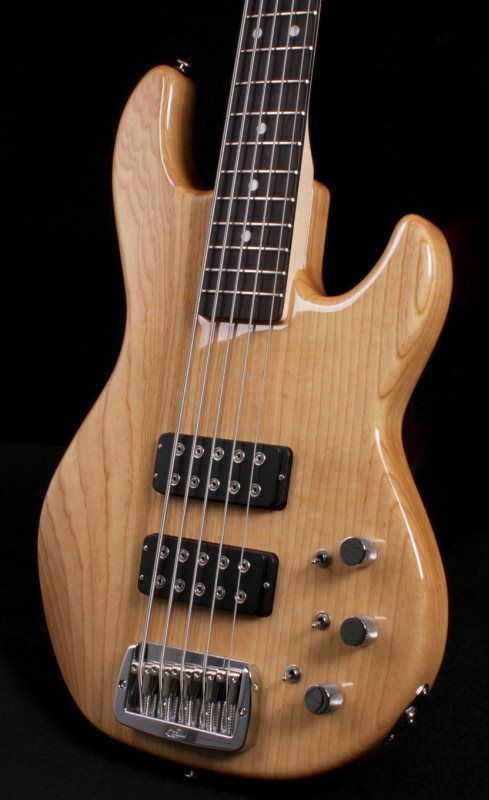 5-String Players will appreciate this highly figured swamp ash light-weight body and the super-comfortable neck. This bass will not diappoint. Simple appointments, killer tone and great playability - not much more to say! The foundation of the L-2500 is a pair of G&L Magnetic Field Design™ humbuckers backed by the flexible Tri-Tone™ control system, providing the sort of versatility that’ll let you find your tone no matter what kind of bass line you’re laying down. The Tri-Tone system features a trio of mini toggles for pickup selection, series/parallel signal routing and active/passive operation, as well as a trio of knobs for volume, treble and bass. With all that under the hood, Leo gave the L-2000 the kind of chops that’ll fit in any situation, from classic R&B to power-packed rock to poppin’ funk. With the addition of a meaty low 'B', the L-2500 brings a crushing bottom end that's tight and well defined. What’s more, the L-2500 features an innovative Leo Fender-designed Saddle-Lock™ bridge to transfer string energy right into the body end-grain for an incredibly resonant instrument. On the other end is a comfortable, C-shaped neck checking in with a comfortable 9 1/2" radius and 21 Jescar 57110 medium-jumbo nickel-silver frets ready to deliver silky playability. 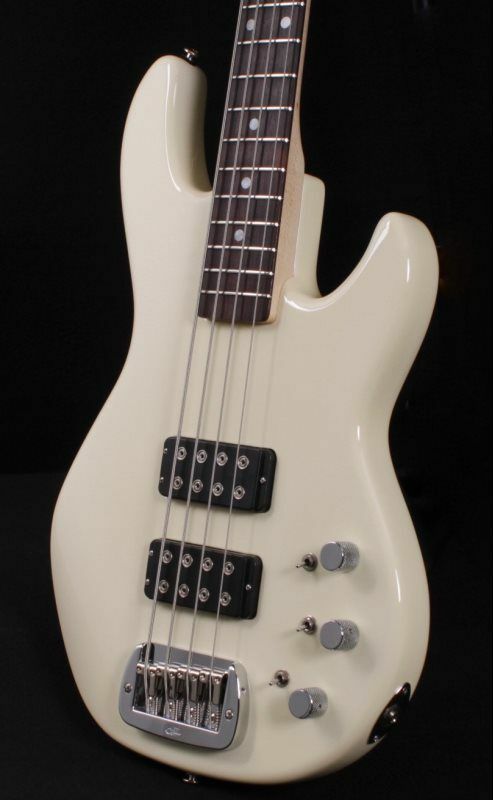 This custom ordered USA G&L was ordered by GMC - it is a simple straight forward “P-style” Bass - this one has a sharp look and weighs in at a perfect 9 pounds! If you have been looking for the senior member of the bass family - here it is!! This Bass is spec’d to look look like a vintage bass from the golden era, it retains that vintage tone, but the playability is all better than ever. The neck will feel like an old friend in your hand and the weight is perfect and balances perfectly on your shoulder with a strap - This bass is what dreams are made of!! Weighing in at: 9 lbs.